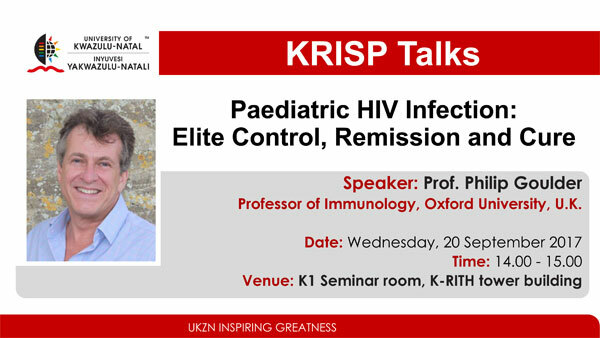 KRISP Talks by Prof. Philip Goulder, Oxford University, 20 September 2017 (14:00 - 15:00), K-RITH building, Nelson R Mandela School of Medicine, UKZN, Durban, South Africa. All welcome! Prof. Philip Goulder , Professor of Immunology, Oxford University, U.K.